Three weeks ago, we had another family vacation at Las Casas Filipinas de Acuzar in Bataan but that will be for another blog entry. A day before leaving, BOS and I were checking out other places near the area we can visit. 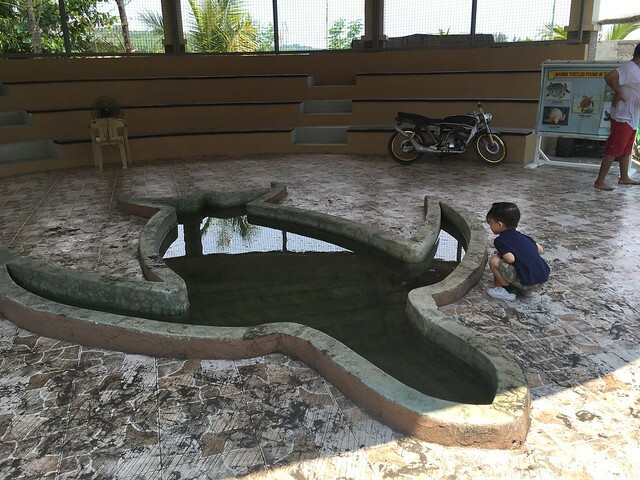 He wanted to check out the Nuclear Plant but that didn't pan out while I wanted to see the Pawikan Conservation Center, we saw the signs on the road leading up to Las Casas so why not check it out. 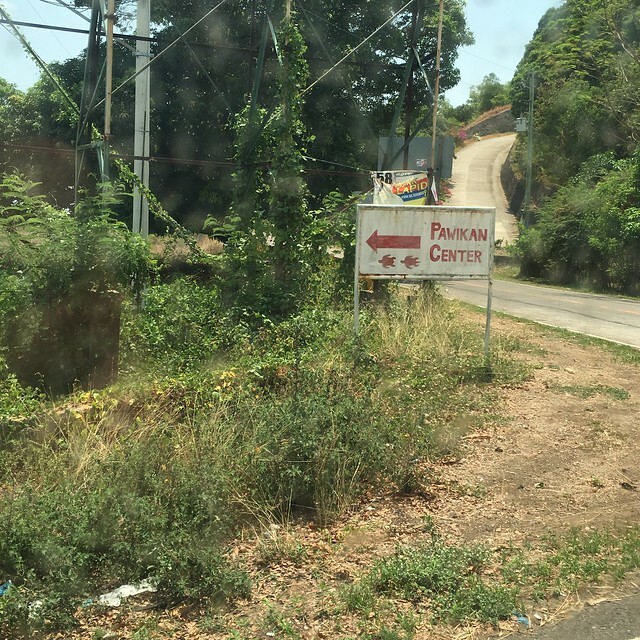 The drive from Las Casas to the Pawikan Conservation Center was about 30 minutes, just follow the signs on the road and look out for the sign on the left side of the road because we missed it! Haha! From this point, the drive to the center is about a 1km. 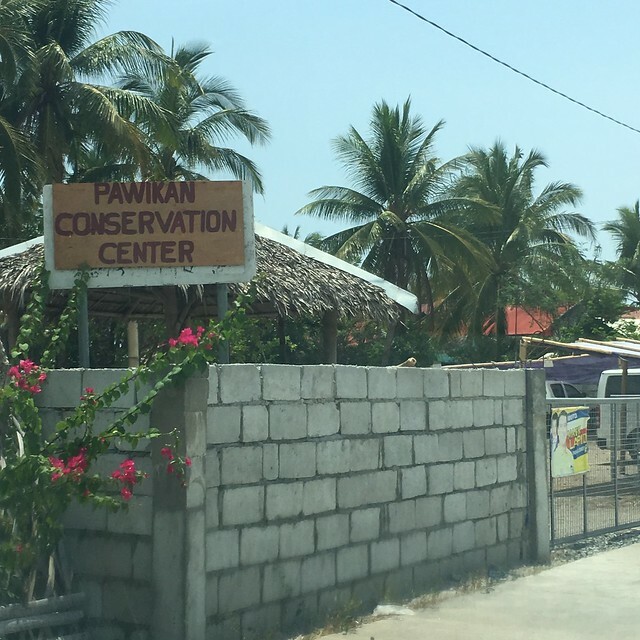 The Pawikan Conservation Center is a community-based program run by locals who work purely as volunteers and they are actually ex-poachers. They do fun runs, annuan pawikan festivals to raise awareness and raise funds for the center. Do you know that all species of pawikan are endangered species? 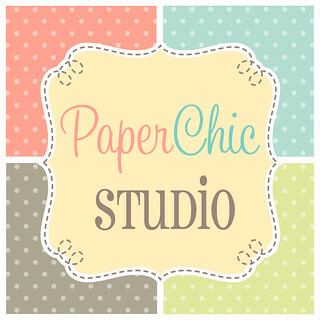 A minimal fee of Php20 is charged per person. 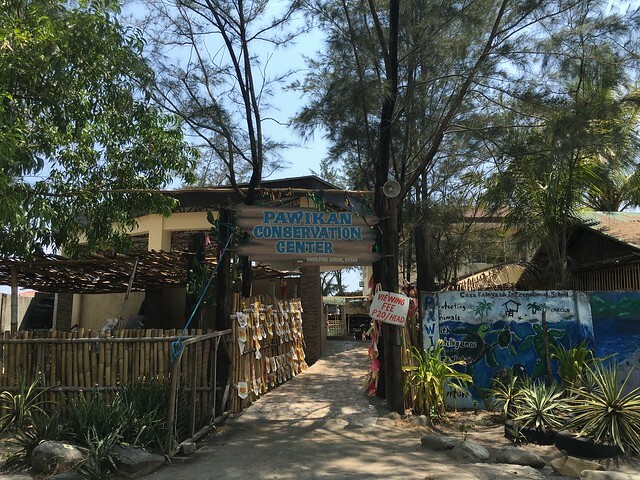 It wasn't hatching season and the Pawikan Festival usually happens later in the year but we still took the chance to visit the center. Kids posed for picture outside before we entered the center. 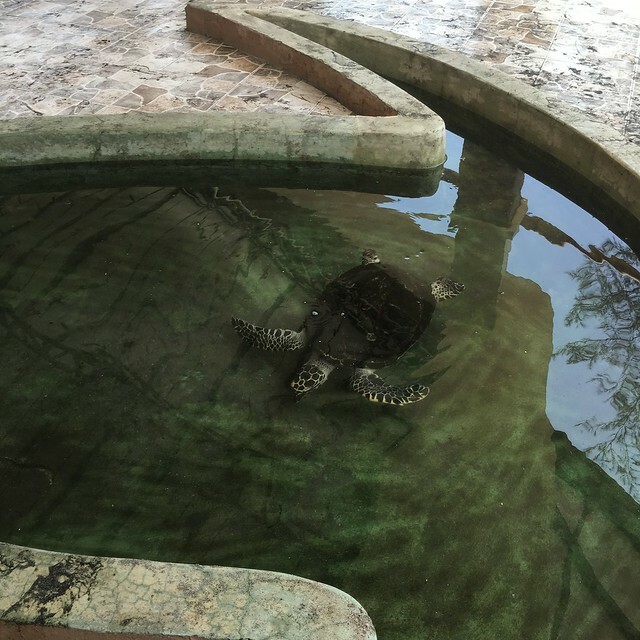 Upon entering the Pawikan Conservation Center, a small turtle shaped pool welcomed us where two sea turtles, a Hawksbill and a Olive Ridley were swimming. R checking out the sea turtles! I told them the pawikan is like Master Wu Gwai in Kung Fu Panda! Heehee! 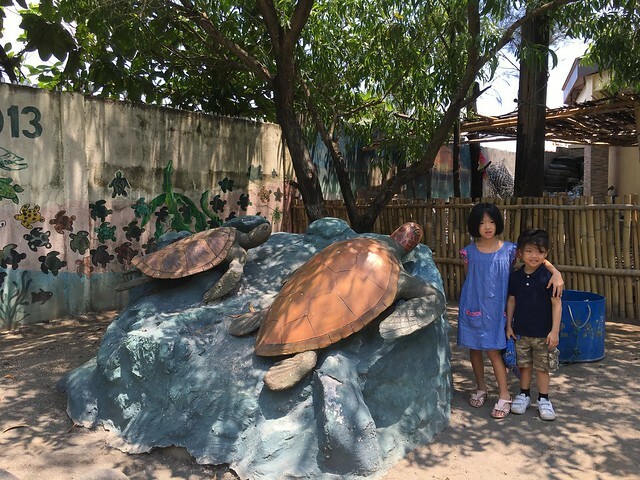 You can also check out the life size life cycle of a sea turtle. Y hamming it up! Heehee! 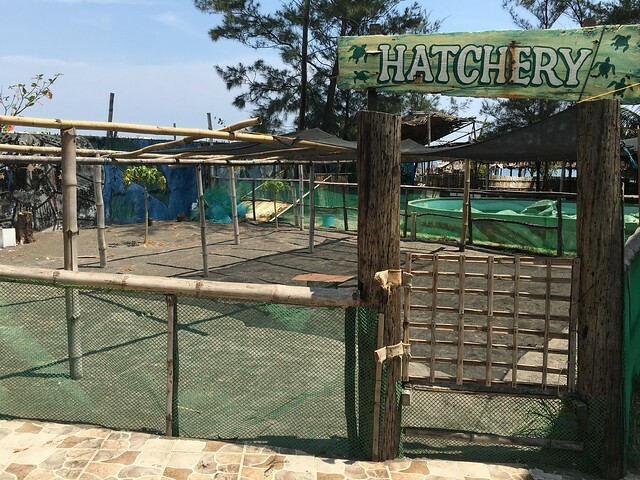 The volunteers patrol the shore every night, move the eggs to the Hatchery (seen below) until they hatch and release the baby turtles back to the sea. Here's another fun fact. Did you know that female sea turtles come back to where they were born after 25 years to lay their own eggs? Fascinating right?! When the eggs are hatched, they climbed out of the sand and they're eventually released to the sea. 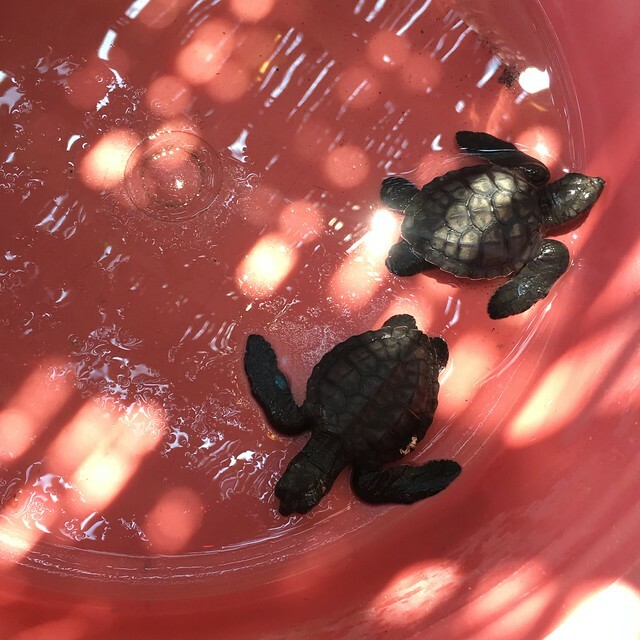 But out of the 100 hatchlings released into the wild, only 1% makes it into adulthood due to poachers, predators, plastic waste and other environmental factors. 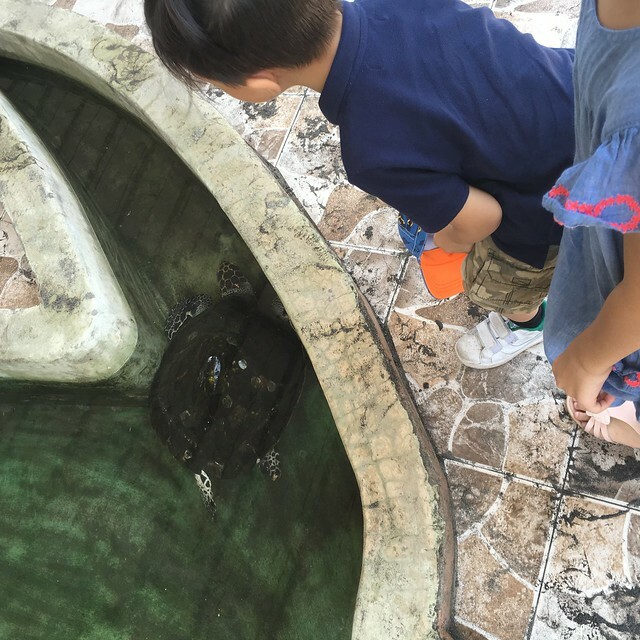 We weren't expecting to see any baby turtles because it wasn't hatching season but I guess we were lucky! We were able to see 2 8-day old baby Olive Ridley! Yay for spontaneous trips! They're so cute! 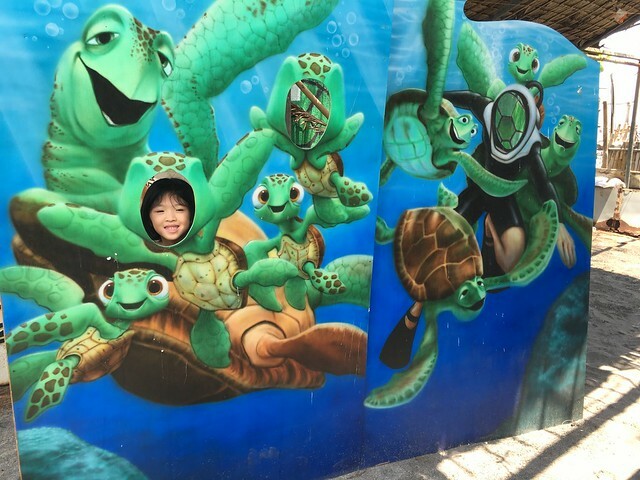 I'm so happy we took this trip and were able to see baby turtles! I hope we can come back one day to join the releasing of pawikans to the sea. After we said our goodbyes to the pawikans, it was already past lunch time and we haven't had our lunch yet. 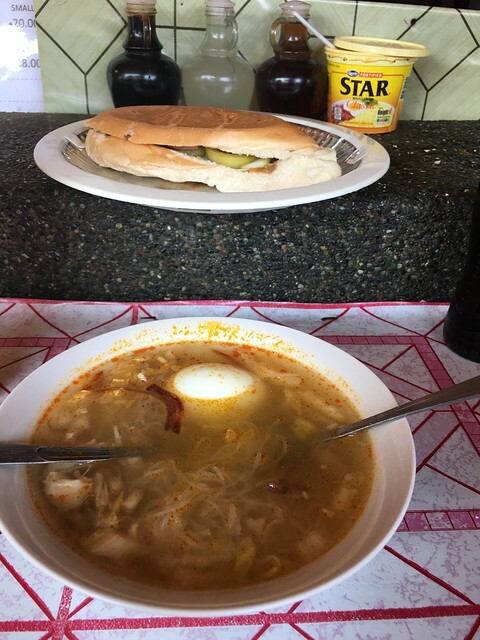 During my research on places to eat in Bataan, I stumbled upon food blogs about hu tieu-ans. We initially wanted to eat at Loleng's Hu Tieu-an but we couldn't find it so we ended up at Aling Solly's Hu Tieu-an. I don't have a picture of the place but it's a typical carinderia and it serves the Vietnamese pho's cousin, hu tieu! Aling Solly used in work in a refugee camp and that's where she learned how to cook hu tieu. It looks like an ordinary chicken mami but there's a little more to it. Clear savory broth, rice noodles, Chinese pechay, spring onions and a special sauce. One hearty bowl is Php28! If you want egg, just add Php5! 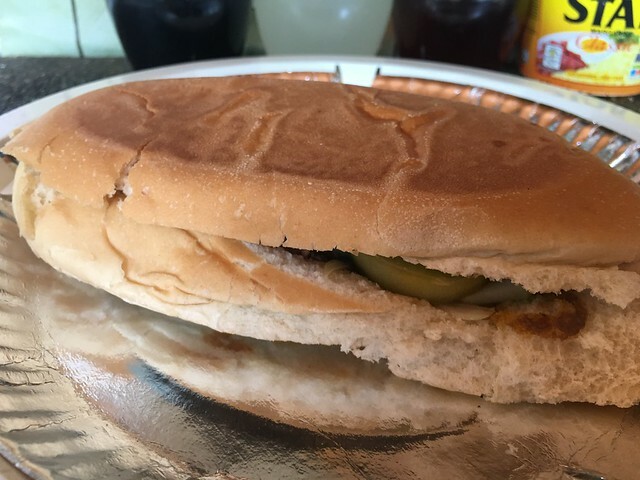 Banh Mi Php25, a Filipinized version of the Vietnamese sandwich. I don't know what inside but it was good! This was the cheapest meal we had for our whole trip, Php187 for everything! It was the kids first ever carinderia experience. They were happy because it's noodles and they got to drink soda from a bottle. Haha! Their large bowl is filling enough but I think I can eat two bowls haha! Takaw lang! 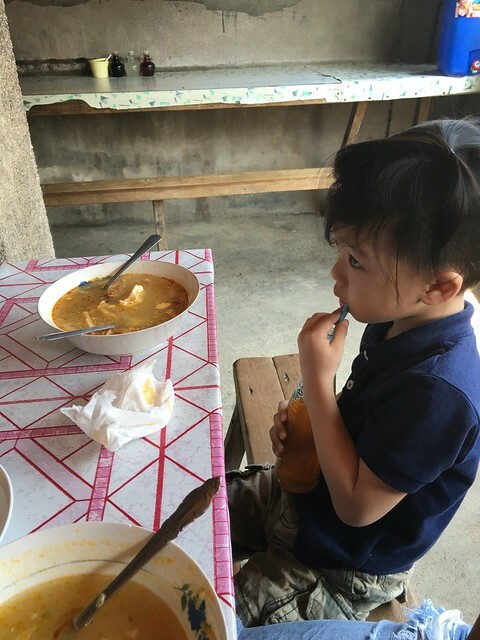 We still wanted to eat at Aling Loleng's Hu Tieu-an and it turns it, isang kanto lang pala siya from Aling Solly's but cars won't fit the street going to Aling Loleng's, we had to walk and we didn't want to leave our car in a place we're unfamiliar with. Maybe next time! 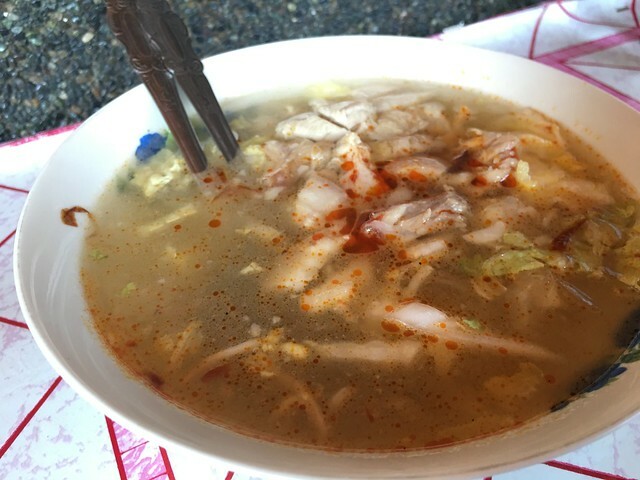 You can use Waze to look for Aling Solly's Hu Tieu-an! 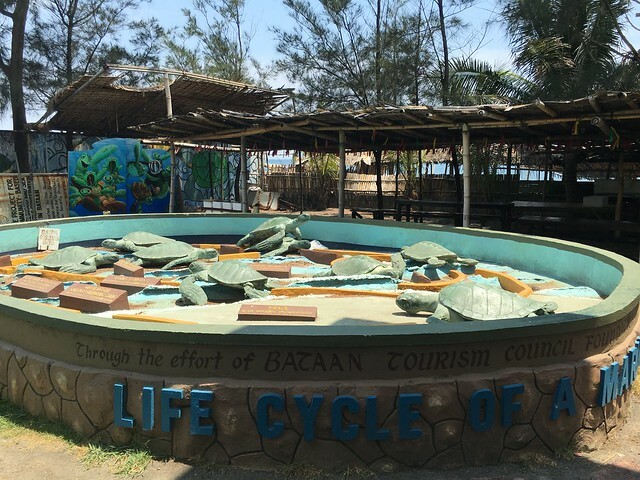 It was a fun side trip to Morong, Bataan! 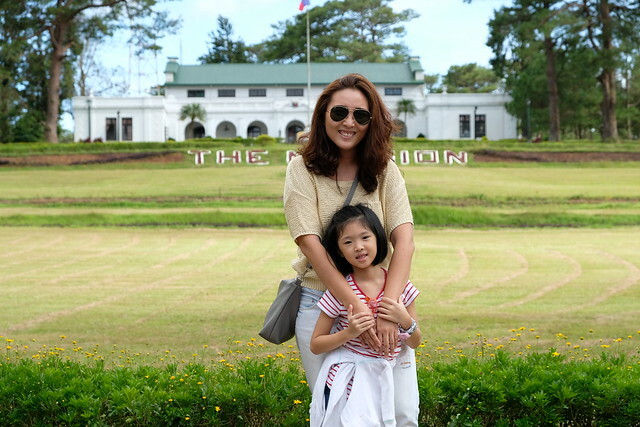 Next, I'll write about our vacation at Las Casas Filipinas de Acuzar!